HOURS before Bristol sees six leading media figures discuss the future of press regulation, media journalist Roy Greenslade has challenged the Leveson Inquiry to investigate how the Sun got some of its ‘exclusives’ during the Jo Yeates case. 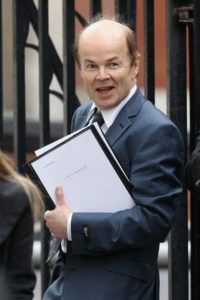 It is already common knowledge that several newspapers blackened the name of Jo Yeates’ landlord, Christopher Jefferies, who is due to speak about his ordeal at the 2012 Benn Debate at the Arnolfini in Bristol tonight. ” It was clear that the tabloid press had decided that I was guilty of Ms Yeates’ murder and seemed det ermined to persuade the public of my guilt. The Sun was among the papers which paid damages to Mr Jefferies in 2011 for libelling him. Now Roy Greenslade has drawn attention in his Guardian blog to two stories which appeared in the Sun – and challenged the Leveson Inquiry to ask Avon & Somerset’s police chief if he can account for how the newspaper obtained its information. Chief constable Colin Port is to appear before the Leveson Inquiry in two weeks’ time. Mr Port can already expect to be asked how the press learned of police interest in Mr Jefferies. Mr Jefferies has said that the day before he was arrested, he was surprised to be questioned by a large number of reporters about a statement he had made to police. Now Greenslade draws attention to the Sun’s lead story of January 5th, 2011, headlined ‘Jo’s body was missing one sock’. The fact that Ms Yeates was found without one of her socks is understood to be a vital piece of evidence which detectives wanted to keep secret. Greenslade says the officers were astounded and upset when the information appeared in print. The second Sun story, on January 17, was headed: ‘Joanna: Ikea pair in police quiz’. It said that two Ikea drivers who had made a delivery to the Yeates house were to be questioned by police. BBC West reporter Steve Brodie – who is also on the panel at the Benn Debate tonight – discovered that the two Ikea staff could not understand how the Sun got their names and contact details, including a mobile phone number. One, James Alexander, told Brodie that being the subject of intense press interest was “horrible”. Steve Brodie’s story for Points West will be shown at the Benn Debate tonight. Roy Greenslade says: “Several questions about this matter must be raised by Lord Justice Leveson when Colin Port appears before him. “How does the chief constable explain the publication of the confidential information such as the missing sock episode? “How does he explain the paper obtaining the identities and addresses of the Ikea delivery men? Mr Jefferies, who is in a legal dispute with Avon & Somerset police, is not expected to make any comment on police matters tonight.